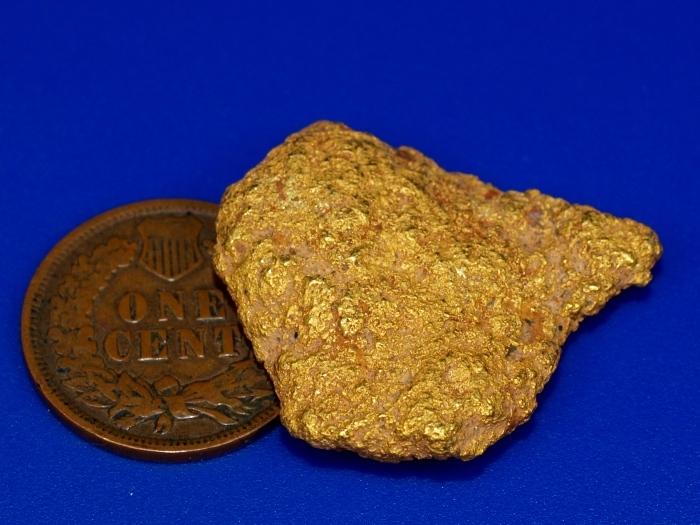 This gold nugget was literally just popped out of the ground a few weeks ago! 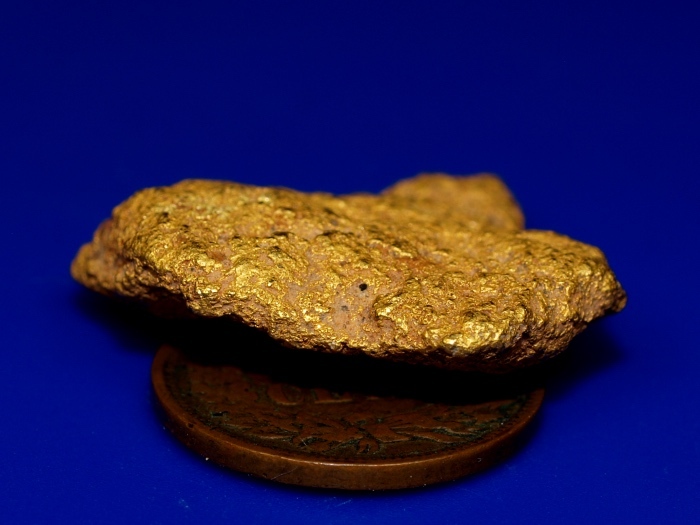 A friend of mine found this with his metal detector in Shasta County. 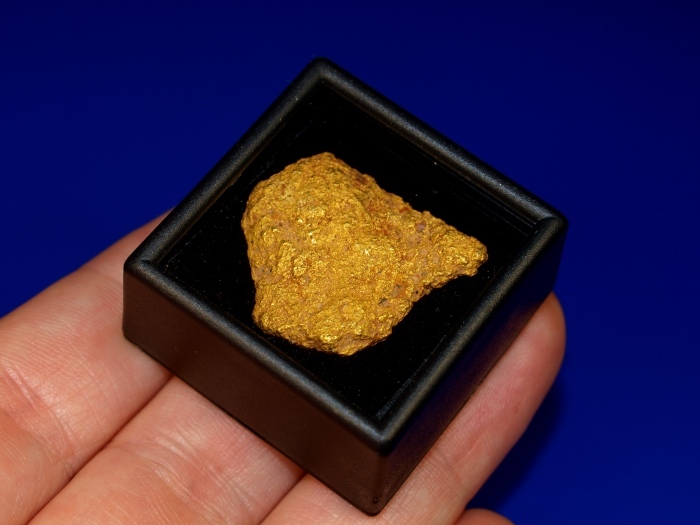 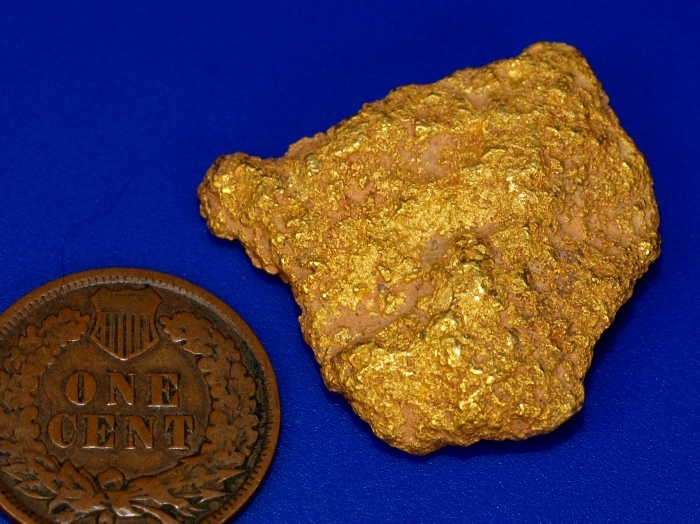 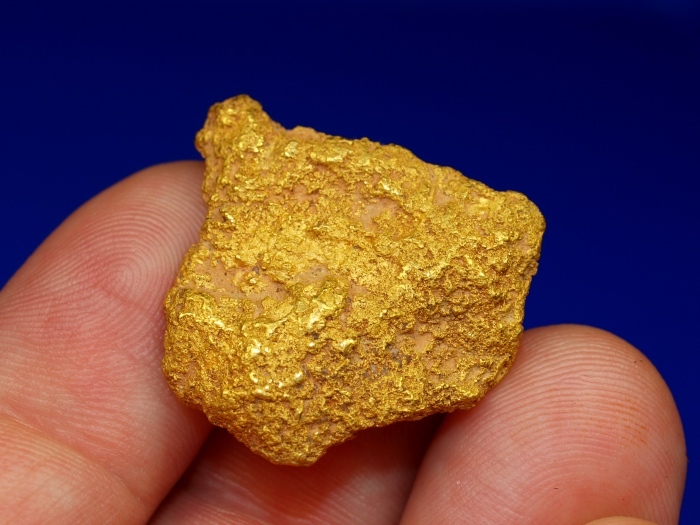 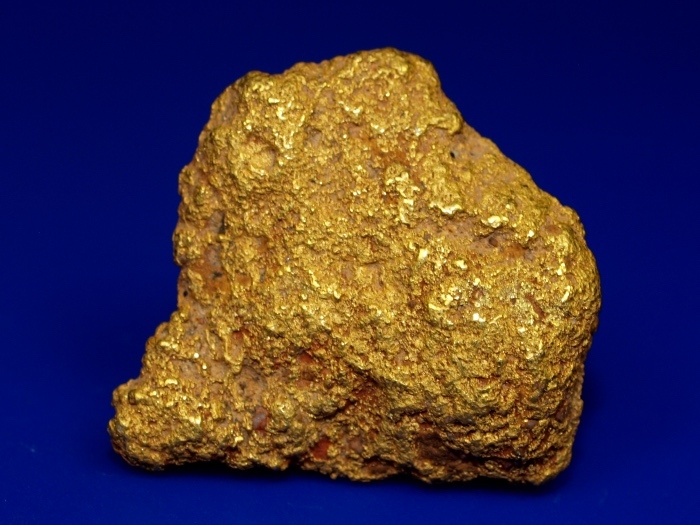 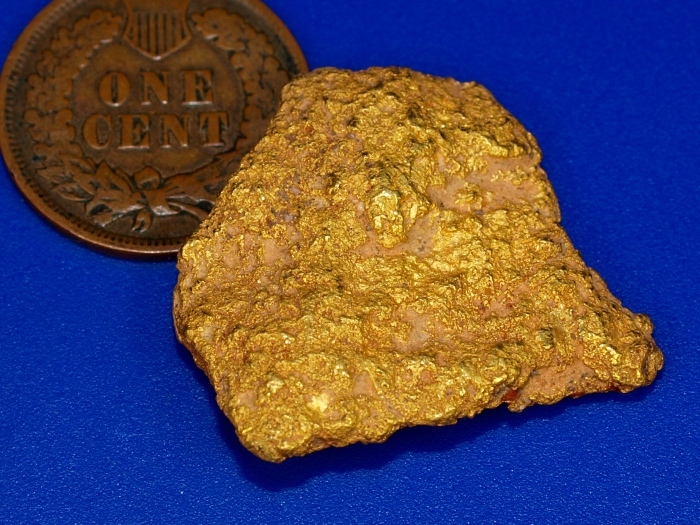 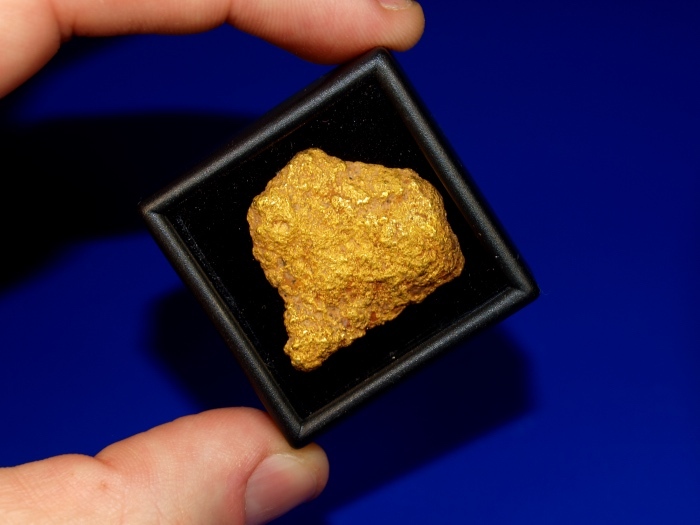 This is a nice big nugget weighing 19.40 grams and it feels great in your hand. 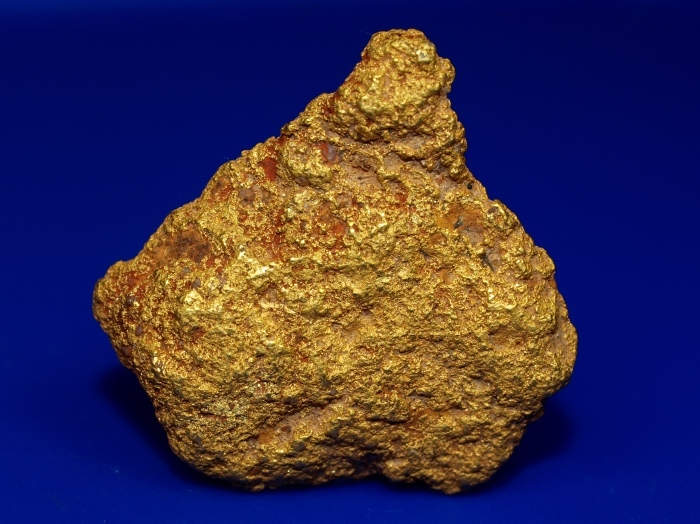 A great addition to you mineral collection.